Invasive species like the emerald ash borer and bighead carp threaten Canada's ecosystems, along with industries such as fishing, farming and forestry. As the climate warms, the threat grows in areas such as the Arctic. What can be done about it? Canada is in the midst of an alien invasion. Foreign newcomers like the emerald ash borer and bighead carp threaten Canadian ecosystems, along with industries such as fishing, farming and forestry. Meanwhile, some parts of Canada such as the Arctic are growing more vulnerable to foreign invaders due to global warming. Invasive species are plants and animals that damage local ecosystems and human industries that rely on them, such as fishing, forestry and agriculture. The Great Lakes Fishery Commission fears the bighead and silver carp from Asia could threaten recreational, commercial and native fisheries on the both the U.S. and Canadian side of the Great Lakes, which are worth an estimated $7 billion a year. 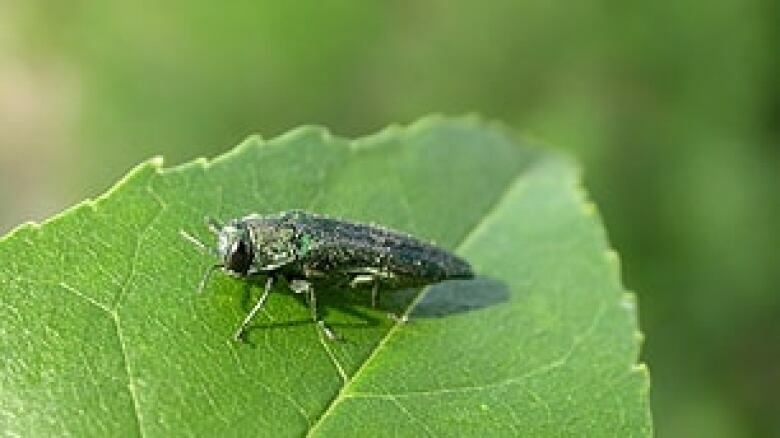 The emerald ash borer, an Asian beetle, has killed millions of ash trees in southwestern Ontario, Michigan and surrounding states since being discovered in North America in 2002. The emerald ash borer, an Asian beetle, has destroyed millions of trees in southewestern Ontario, Michigan and neighbouring states since being found in North America in 2002. ((Ed Czerwinski/Ontario Ministry of Natural Resources))A 2008 study by by scientists from the University of Notre Dame and the University of Wyoming found invasive species cost $200 million a year to the eight U.S. states bordering the Great Lakes, and similar impacts were expected in Canada. Next to habitat destruction, alien species are the leading cause of extinctions worldwide, according to a study published in 2006 in the scientific journal Frontiers in Ecology and the Environment. These mass extinctions are a serious threat to biological diversity. University of Windsor biology professor Hugh MacIsaac, director of the Canadian Aquatic Invasive Species Network, said worldwide, the number of invasive species have increased exponentially in recent decades, largely thanks to human air travel and commercial transport. Canadian beaver (Castor canadensis): Introduced along with muskrats to Tierra del Fuego in southern South America to provide a fur trade for the economy, our plucky beaver has become a major pest, with its damming activity causing flooding and loss of trees. American comb jelly (Mnemiopsis leidyi): Often referred to as North America's revenge for the zebra mussel, the comb jelly has had catastrophic effects on the fish populations of the Mediterranean, Black and Aegean seas and has spread to the Caspian and Baltic seas as well. A native to Canadian and American waters, it is a major predator of zooplankton and fish eggs, destroying native food chains. Canadian waterweed (Elodea canadensis): This perennial water weed's rapid growth has allowed it to spread quickly from the U.K. to other parts of Europe and Asia, where it can clog and slowdown waterways, upsetting natural systems. Air travel has allowed people to smuggle foreign species across oceans that they couldn't before, he said. "Historically before jet aircraft were created, you couldn't do that because whatever you were trying to smuggle would be dead by the time you arrived at your destination." At the same time, a dramatic increase in shipping and other types of commercial transport has allowed many species to be transported unintentionally between continents, stowed away in commodities themselves, or attached to the hull of a ship, or in ballast water. More than 180 invasive species have arrived in the Great Lakes region since the 1800s, according to the Ontario Ministry of Natural Resources. Over a third of these new species arrived in the last 30 years, following the opening of the St. Lawrence Seaway in 1959. Some, such as the flounder and the Chinese mitten crab, can't spawn in fresh water and quickly die off, says ministry spokesman John Cooper. Others flourish. A few, such as salmon and rainbow trout, have become popular game fish, but others have become a nuisance or cause significant damage. "None have really totally caused the Great Lakes to collapse," Cooper said, "[but] they certainly have altered the aquatic life out there." He cited as examples zebra mussels and the sea lamprey, which he called a "poster child" for the damage invasive species can do. The latter is a parasitic, blood-sucking fish that is considered a major factor in the 1940s and 1950s collapse of fish species such as lake trout and whitefish that were important to the local fishery. Zebra mussels, which arrived in the late 1980s, cost facilities on the Great Lakes millions of dollars a year, as they multiply so quickly that they clog intake pipes and sink navigational buoys. They also filter out large amounts of phytoplankton, affecting the local food web. Most Great Lakes invaders first establish themselves in Lake Erie or Lake Saint Clair, which are warmer and have more nutrients than the other lakes, Cooper said. Some ecologists fear that as the climate warms, more and more Canadian waters will become hospitable to invasive species, including those in the Arctic. 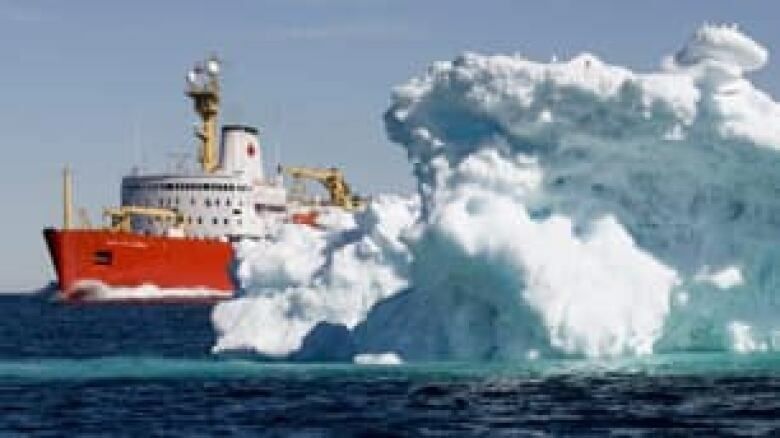 The warming climate is leaving northern seas ice-free for longer periods of time, leading to higher production of algae that invasive invertebrates could eat, said MacIsaac. "If any of them managed to get into the Arctic previously, they probably would have starved because there wasn't enough food in the water to feed them," he said. "But as the climate changes … anything that managed to get up there will have higher survival." Ecologists who study invasive species have been trying to figure out why some species are more invasive and why some species appear to spread faster and have a greater impact than others. So far, they have found that foreign species are more likely to cause problems in the ecosystem if they come from a completely different genus than the surrounding plants and animals, said Anthony Ricciardi, a professor of environmental science at McGill University. "Those species that are most distinct are the ones you better watch out for. When you think of the species that have come here, like the zebra mussel or the round goby, these are completely different from the species here. We have nothing like them, and so our native species were totally unprepared for their arrival. They really changed the rules of existence," he said. Isolated regions like islands or inland lakes are more likely to be vulnerable than other regions, said Ricciardi, because their species are less likely to have come into contact with invaders. He added that an ice-free Arctic could be also become an avenue for international shipping and the stowaways it brings. MacIsaac's research group is currently monitoring ships going up to the Arctic, checking to see what living organisms are in their ballast water and what is growing on their hull. They are also examining ships coming into Halifax and especially Vancouver, where there tend to be more individual organisms of more varied species clinging to the hull. In many cases, it's possible to reduce the risk of invasive species coming in and establishing themselves, MacIsaac said. One example is tighter ballast water regulations. The water is traditionally held in a ship's tanks and cargo holds to increase the vessel's stability and maneuverability, and dumped to make room for new cargo. But when the ship dumps water into foreign waters, it often releases a slew of organisms from its home port or wherever it last took on ballast. Regulations in Canada in place since 1993 require boats to flush out the ballast water in their tanks offshore and replace it, if necessary, with salty seawater. Organisms that live in saltwater typically can't survive in the Great Lakes. In 2006, Transport Canada widened the rules to include ships with "empty" ballast tanks, which weren't always completely empty, MacIsaac said. An international agreement that limits the number of organisms in ballast water dumped anywhere in the world has also been proposed, he added, and Canada signed on this past March. MacIsaac said some time will be needed to confirm that the regulations are working, but so far, the results look promising. "We haven't seen any new species reported in the system since 2006," he said. "Very simple procedures have dramatically reduced the risk."